Apple announced that today orders for the iPad Pro will begin in Canada on November 11th, and stock will arrive in the company’s retail stores later this week. 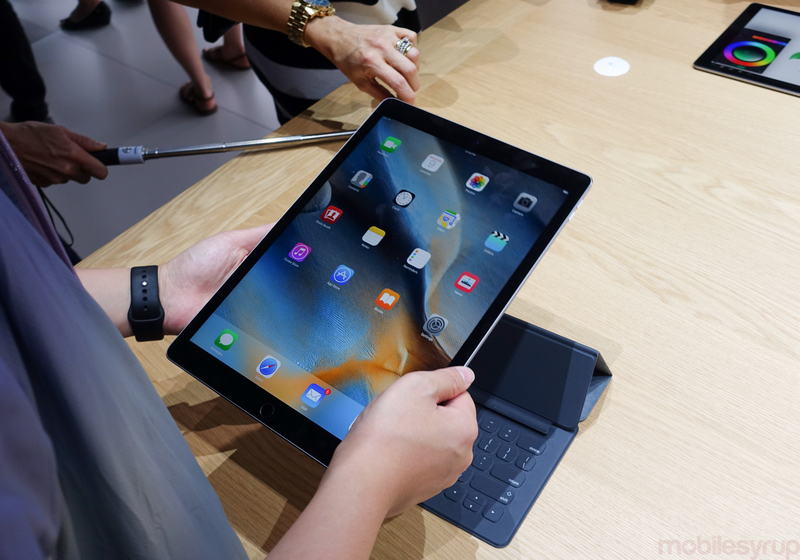 The iPad Pro is a 12.9-inch version of Apple’s popular tablet series, featuring a design similar to the iPad Air 2 with significantly expanded screen real estate. Made to work with the company’s new Pencil and Smart Keyboard accessories, the iPad Pro has a 2732×2048 pixel Retina display, an A9X chip, and four speakers to convey stereo imaging in any orientation. One of its main attractions, aside from laptop-class size, is the redesigned touchscreen, which not only supports variable refresh rates through Apple’s custom timing controller, but has support for the Apple Pencil, the company’s first official stylus. 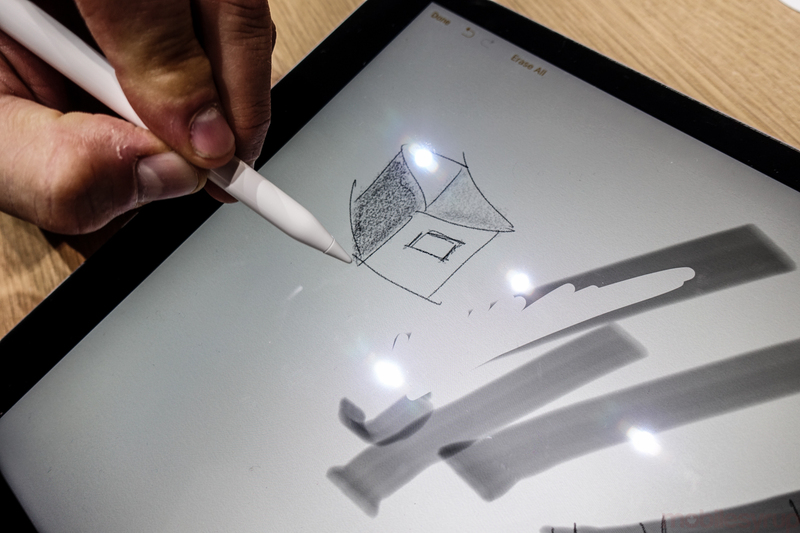 As we showed in our hands-on demo at Apple’s September event, Pencil has almost no latency, and supports pressure sensitivity and tilt for more precise input. 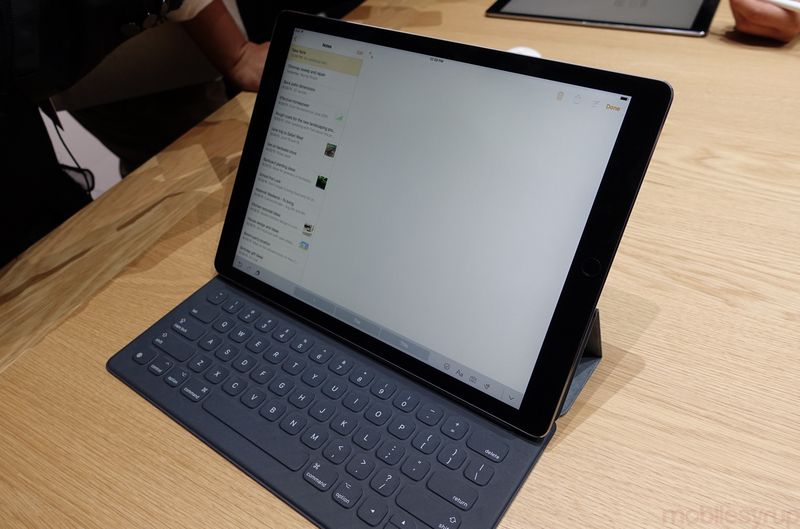 The Smart Keyboard uses the iPad Pro’s new Smart Connector, which provides two-way power and data transfer. Apple says that its new keyboard is significantly thinner and more portable than most keyboard cases, and attaches with magnets the same way its regular Smart Covers do. iPad Pro will debut in three colours — space grey, gold, and silver — and come in three variants, a $1049 32GB WiFi model; $1249 128GB WiFi model; and a $1429 WiFi+Cellular model. The Apple Pencil will retail for $129, and the Smart Keyboard will cost $229. Apple notes that the Smart Keyboard will only be available in a US English layout.